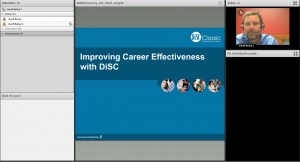 PMC’s Virtual Live Classroom (VLC) workshops give participants comprehensive training right from their own computer. As with our traditional physical classroom format, VLC training provides hands-on learning, interactivity and participant engagement, all with the flexibility of learning from wherever you choose. Each module of VLC training typically runs 90 to 120 minutes in duration. Choose from several innovative topics, scheduled conveniently in either morning of afternoon sessions. Micro-learning is the process of learning through short, digestible, well-planned units. Another term for it is “single concept learning”. Bite-sized content enables participants to access small chunks of information instantly, anytime, and from anywhere. PMC will soon offer a library of short video lessons accessible through desktop or mobile devices. The content is self-paced, self-directed, with individual topic choices. Content from the library can be paired with classroom content to create “flipped classroom” and blended learning programs.